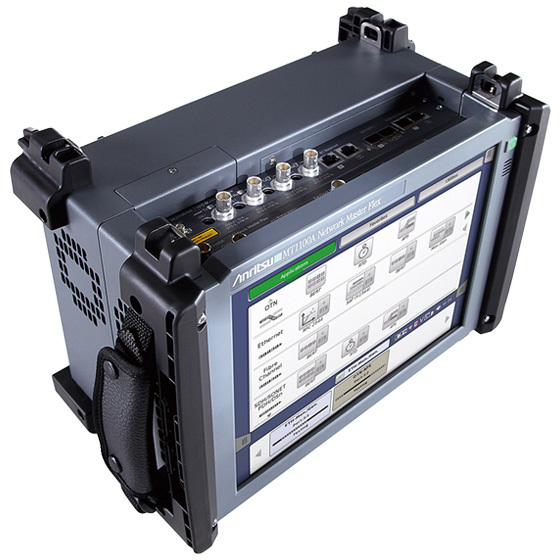 With four 100 Gbps ports, the MT1100A supports R&D of the latest OTN 400 Gbps technologies using client signals, including Ethernet, CPRI/OBSAI, SDH/SONET, PDH/DSn, and Fibre Channel, now in development. 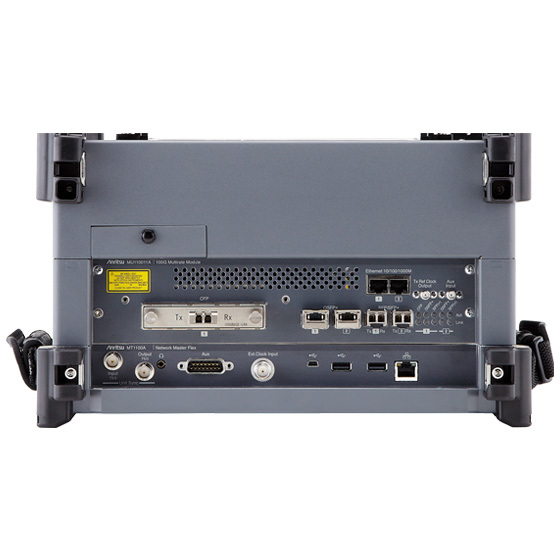 The MT1100A supports a maximum of four 40 Gbps or 100 Gbps ports, each of which can be used independently and simultaneously for network and network-equipment tests. Selecting one of the available CFP, CFP2, CFP4 (using CFP2/CFP4 adapter), QSFP28 (using CFP2/QSFP28 adapter), CXP, and QSFP+ connectors for each port supports insertion of the appropriate module for all-in-one development and manufacturing of various 40 Gbps and 100 Gbps WDM, switches, and optical transceivers. Moreover, CAUI, XLAUI electrical signals can be input/output to/from the MT1100A, supporting development of high-speed optical modules using dedicated extenders. The OTN protocol with powerful Forward Error Correction (FEC) and flexible support for various mappings is becoming an increasingly popular choice for the latest data networks, requiring an OTN tester supporting flexible mappings to simulate realistic data transport for development, manufacturing, and I&M. 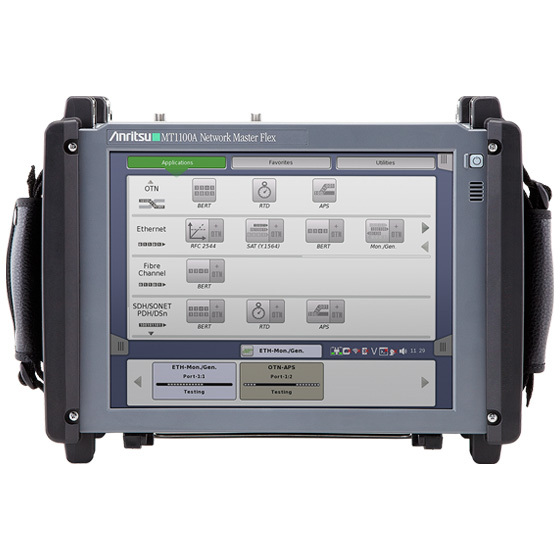 With its out-of-box support for various OTN mappings ranging from OTU1 to OTU4, multi-stage mapping, and ODUflex, plus OTN mapped Etherent, CPRI and SDH/SONET client-signal tests, the MT1100A is the ideal test solution for simulating realistic data transport.